I hesitated ever so briefly about sharing this dessert with you. But, then I decided that you all need to know about it and its nutty, caramel-y awesomeness. So, I’m sharing it but with a warning. This thing is dangerous. 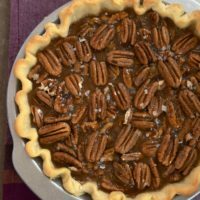 It’s packed with pecans and brown sugar and a hint of cinnamon. 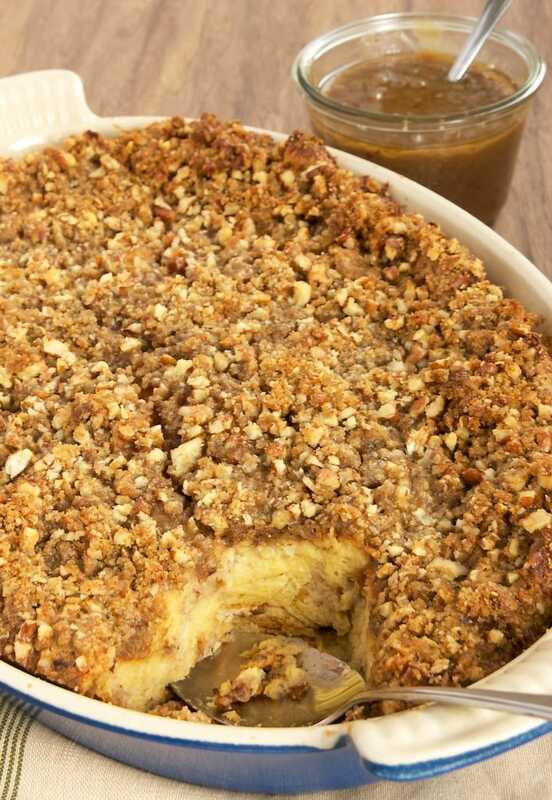 Then, just for good measure, it’s topped with a buttery, brown sugar-y, nutty crisp topping. That all sounds pretty amazing, right? But, wait. Let’s just drizzle a little caramel and pecan sauce on top. See what I mean? Dangerous. One of the beauties of bread pudding is how easy it is to make. This one is no exception. Sure, there are three components to make, but each of them mix up quickly. You just need to plan ahead a bit to allow the pudding to sit for an hour before baking. I love this dessert for a crowd. You can feed so very many people with this thing. It’s so rich and decadent that small slices are plenty. I’m thinking we may need to make new friends just so I can give more of it away. If your crowd is a bit smaller, you can easily half the recipe and make it in an 8-inch round pan. I am quite the fan of bread pudding under the most normal circumstances. But, this one? This is in a category all by itself. This bread pudding is full of pecans, brown sugar, and cinnamon. Then, it’s topped with a sweet, nutty caramel sauce. Delicious! Grease a 9″x 13″x 2″ baking pan or other baking pan with 3-quart capacity. In a large bowl, lightly beat the eggs. Add the half-and-half, brown sugar, vanilla, cinnamon, and salt. Whisk until combined. Fold in the cubed bread, pecans, and dates. Transfer the mixture to the prepared pan. Let sit at room temperature for 1 hour. Place the butter, brown sugar, flour, and salt in a small bowl. Mix with a pastry blender or a fork until combined and crumbs have formed. Mix in the pecans. Sprinkle the mixture evenly over the top of the bread pudding. Bake 40 to 45 minutes, or until set. Cool slightly before serving. 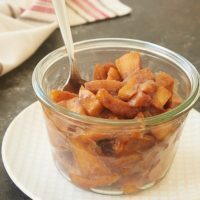 Place the half-and-half, brown sugar, and butter in a small saucepan. Bring to a boil over medium-high heat, stirring occasionally. Boil for 4 minutes. Stir in the pecans, vanilla, and salt. Continue to boil for 2 minutes. Remove the pan from the heat and allow the sauce to cool to room temperature. Drizzle over servings of bread pudding. *Substitute any dried fruit or feel free to omit. oh my LORD-I love you and your Southern culinary genius. May I repost/link back to this recipe from my blog with all the proper credit/redentials ? My husband and I usually use the bread pudding from the Brennans restaurant cookbook but this version is a bit more like what I am used to ….considering the fact that I had to run next door last night at 9i:15 pm for an emergency ” Darling neighbor baby girl..tell me you have cornstarch..hisself forgot to check the pantry before he started the sauce…” ..a comparison and modicum of sarcastic marital humor may be involved. 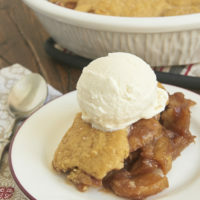 Regardless..I so plan on making this..after I check the pantry..
Hi, Jane. Of course you can link back! Hold on. Let me wipe the drool off my keyboard. This looks amazing! I keep telling people I SWEAR we were twins separated at birth. Not that I have your talent but that your recipes just “speak to me”. I want to make every one that you post (and that’s a few!). 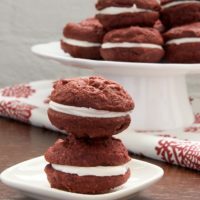 I’m worried all the people I know are going to start avoiding me because I’m so addicted to baking ALL of these at the moment. And your photography really makes them even more tempting to bake! Thanks for another great one for my list! Thank you, Linda! You’ve absolutely made my day. I am a HUGE fan of bread pudding but I’m always a bit hard-pressed to share it with others!! With this praline deliciousness…let’s just say it would be extra hard. Oh, this looks amazing! 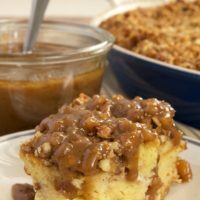 I’ve been a huge fan of bread pudding and pralines ever since I lived in Louisiana for a while after college. Thanks for the inspiration, and have a happy Thanksgiving! Wow I’ve been wanting to make a Challah loaf, and now I know how to make it into an amazing looking pudding! 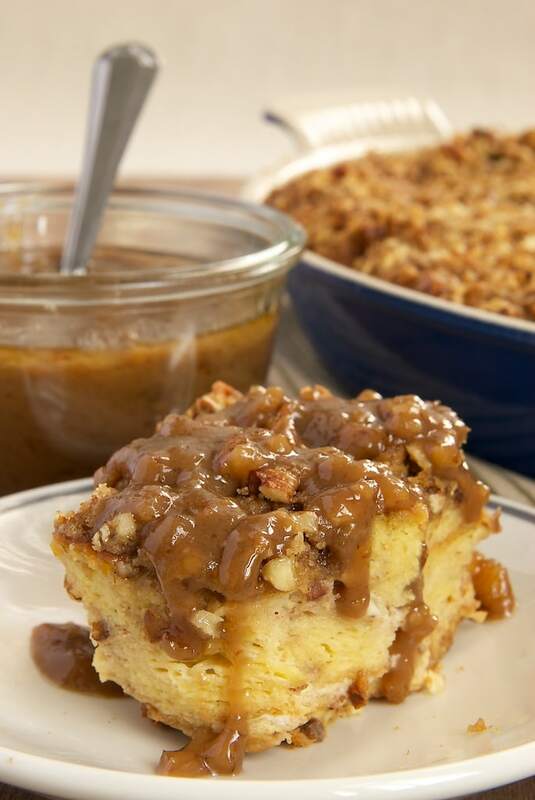 I scream, you scream, we all scream for… praline bread pudding with caramel-pecan sauce. 8 inch pan? Me thinks not. That’s a snack. Real gals would eat a 9×13 pan. SOLO. Love how you went all out with the sauce here! I just wanted to say that your blog is beautiful. The recipes sound amazing and the pictures are look spectacular. Clearly you are old hat at this. I am extremely new at this aspect of my chef life so I am having fun browsing different blogs. I think I have a long way to go! Anyway, we spent our honeymoon in New Orleans last September and your praline bread pudding looks amazing! Oh, my goodness! I am southern born and bred! How have I missed this one? Many thanks, honey chile! Do you have to use Challah bread? Do you have a recipe? Or what would I substitute? You could use a baguette, which should be more readily available in your grocery’s bakery. Oh. My. Word! I think I pinned this over a year ago, but never actually read the recipe. I will definitely be making this!!! Using the Challah bread is genius! I can’t wait to try it! Literally drooling over here!!! Can i mix and let it sit in the fridge over night, then bake in the morning? Yes, I think that will be fine. I would recommend letting it sit at room temperature while your oven preheats. Great recipe! I made this for Christmas and it tasted delicious as it is a dry bread pudding versus soggy bread (which I prefer). I followed the recipe exactly except just used french bread from Walmart. I would make it again. You can make your own with 3 parts whole milk and 1 part heavy cream. Looks delicious. 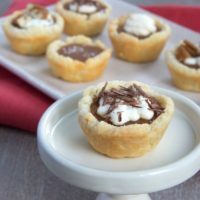 Could I make the Carmel Sauce the night before and reheat when serving? Thanks for all the great recipes. Yes, the sauce should reheat just fine. Enjoy! I have always made bread pudding with leftover biscuits. Would that work here? Challah is an egg-based bread, so it will probably be a bit different. 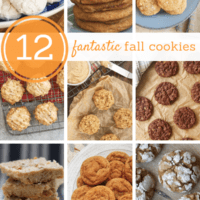 But with the same amount of biscuits, you’ll likely get something very similar.